The Cederberg* region was named after the Clanwilliam cedar, which used to be a prominent feature of the Cederberg but which today is a rare sight. They are critically endangered and are on the brink of extinction after decades of unsustainable harvesting for their beautiful, long-lasting, fragrant timber, and from too frequent veld fires. * Cederberg, not Cedarberg, is the spelling approved by the National Place Names Commission in 1981. Young trees have conical crowns, and old trees have massive gnarled trunks and spreading branches. 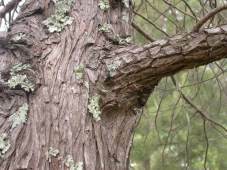 The bark is reddish grey, thin and fibrous, flaking in scale-like plates. 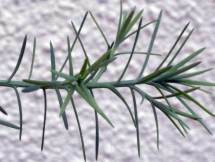 Juvenile leaves are narrow and needle-like, 20 x 2 mm, and are spirally arranged. Adult leaves are small, scale-like, up to 4 mm long, and lie flat along the branches in pairs. Both forms are sometimes present on a young tree. Male and female cones are borne on the same plant. Male cones are very small, up to 2 mm long, and are produced in autumn. Female cones are dark brown, almost spherical, up to 25 mm in diameter, with 4 woody, rough, warty scales. They develop in autumn, and remain on the tree for almost 3 years before the seeds are released during late summer. As a result, they can be found on the tree all year round in various stages of development. 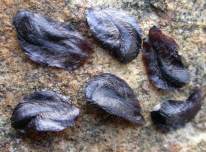 Seeds are black-brown, ovoid, with a narrow wing. Widdringtonia cedarbergensis is critically endangered. 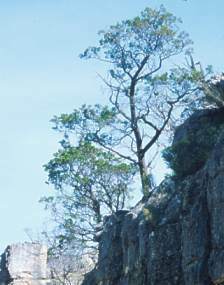 The Clanwilliam cedar is confined to an area of approximately 250 km² in the Cederberg Mountains, about 240 km north of Cape Town. It occurs singly or in scattered groups on rocky outcrops and mountaintops at altitudes from 800 to 1 980 m. In former times the whole mountain chain was studded with these trees, but by 1883 nearly all accessible trees of commercial value had been felled. The Clanwilliam cedars today are usually 5-7 m tall but, in protected inaccessible places, specimens of up to 20 m with trunks of up to 2 m in diameter can be found, although many of them were destroyed in the fire of 1989. But even these large specimens are dwarfs compared to the past giants which must have been at least double the girth of any of those now standing. There is a report of a tree cut down in 1836 having a girth of 36 feet (11 m). The genus Widdringtonia was named after Edward Widdrington, a Royal Navy captain and a conifer botanist of the late 1700s and early 1800s, who published a book on European pines. 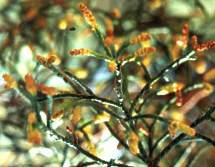 The species name cedarbergensis means 'of the Cederberg'. There are three species of Widdringtonia, namely W. nodiflora (= W. cupressoides and W. dracomontana), the mountain cedar, W. schwarzii, the Willowmore cedar, and W. cedarbergensis (= W. juniperoides). They are easy to tell apart in the wild as they are geographically separated: W. schwarzii is restricted to Baviaanskloof and the Kouga Mountains in the Willowmore District which is 560 km west of the Cederberg, and W. nodiflora occurs from Table Mountain in Western Cape eastwards and northwards through Eastern Cape, KwaZulu-Natal and Mpumalanga to Limpopo [Northern Province] and further northwards into tropical Africa. They are not so easy to identify in the Garden, but it is possible: W. nodiflora female cones are smooth, wrinkled or slightly warty, whereas the other two are conspicuously rough and warty. W. schwarzii seed has a conspicuous wing, whereas that of W. cedarbergensis is smaller. W. nodiflora is a variable species that extends into tropical Africa. The Mlanje cedar of Malawi, W. whytei, is considered to be a variant of W. nodiflora. Widdringtonias are members of the cypress family, which is very poorly represented in South Africa. This is the only genus out of 16 in the whole family that occurs in South Africa. Its fragmented distribution has given rise to the theory that they are the last remnants of a vegetation that once, in some remote period, covered a far larger and more connected area. Fossil wood has been found near Knysna. In living memory, the Cederberg area has been used either for grazing, which also entailed patch burning, or the forests were felled and the timber sold by local inhabitants. Although noted during the early 1800s that the trees would soon be depleted if harvesting continued unchecked, it was only in 1876 that a ranger was appointed to exercise control, and yet over-exploitation continued. In 1897 part of the Cederberg was declared a demarcated forest, and plantations of fast-growing trees were planted to prevent harvesting of the cedars. Plantations of the cedars were established at higher altitudes, but this project was abandoned by 1916 as their growth was too slow to be commercially viable. Today the Cederberg enjoys maximum protection, and harvesting of the cedars has been banned for the last 100 years. However, the fact that the natural population was so reduced, together with the threat of too-frequent fires, as well as an apparent increase in seed predation, all rendered its recovery by natural regeneration nearly impossible. In 1987 approximately 5 250 ha was set aside in the ca 72 000 ha Cederberg Wilderness Area as a Cedar Reserve, with two main objectives: 1) to prevent deaths of adult trees by implementing a low intensity burning programme, and 2) to increase the number of juvenile plants by re-introducing nursery-grown seedlings. Thousands of seedlings were planted every year, but this programme unfortunately came to a halt in 2000. 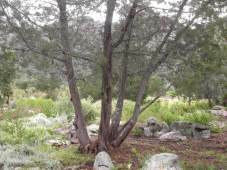 The Botanical Society was instrumental in creating the Cederberg Interest Group in 2001 and, with funds from Fauna and Flora International, a new cedar nursery was established and the planting programme continued. This programme is a partnership between the Botanical Society of South Africa, the Western CapeNature Conservation Board, and the local community. See the weblinks below for more information on the Cederberg Wilderness Area and this project. Fire is an integral part of the cedar life cycle. 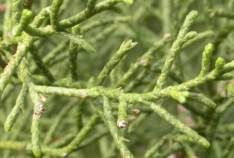 The Clanwilliam cedar is highly inflammable, the resin in the bark causing the tree to burst into flames relatively easily, and the trees burn rapidly and can be killed even by quick, light, veld fires. They are slow-growing, so that it may be 30 years or more before a tree produces significant amounts of seed. The seeds do not have large wings and as a result do not fall very far from the parent. If a tree or a group of trees is killed by a fire, they will regenerate from seed, and in fact germination after a fire is usually very good. If that crop of saplings is killed before they have produced seed, then that group is effectively wiped out. It must also be remembered that the Cederberg is in the winter rainfall area of South Africa, a region characterised by hot, dry summers and mild, wet winters. Seedlings germinate in autumn/winter and must grow to a size large enough to be able to survive the following hot, dry summer. Those that germinate too late will not be large enough to survive the summer. Therefore, not only frequency of fires but also timing of fires will affect cedar regeneration. 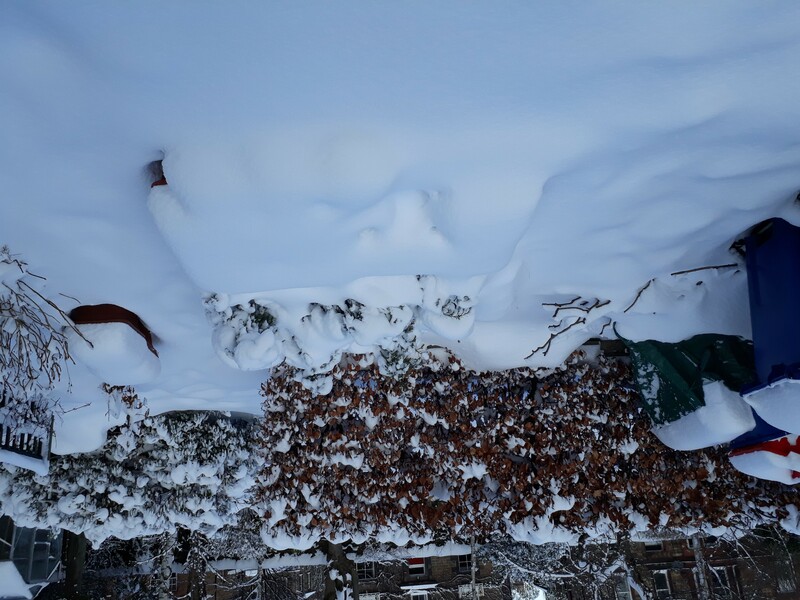 Fires in winter or spring leave seeds at the mercy of high soil temperatures, disease and predation by rodents for the entire summer, leaving few viable seeds to germinate in the autumn. Fires are best timed in late summer, just before the onset of the autumn and winter rains. The trees that survived the axe and fires are usually in rocky, inaccessible places and are estimated to be able to live for up to 400 years. In the old days, only those trees of 200 years or more were selected for felling. It is probable that the cedars did not evolve in a fire-prone environment, but have had to adapt to this rather late in their evolutionary life. Management of the Cederberg has to balance the need for fires with the need to conserve existing adult cedars. The wood of Widdringtonia cedarbergensis is beautiful, light yellow to whitish, resinous and fragrant, and exceedingly durable. It works well, takes a fine polish and is borer-proof. The pews, doors and carved altar in the Anglican Church in Clanwilliam, as well as the furnishings in the Courthouse, are all made of Clanwilliam cedar. It was also popular for shipbuilding, it was used for almost all the woodwork needed by the early settlers in the Clanwilliam area, and makes splendid furniture. It was once sold by the wagonload for fence poles, and it has been claimed that the cedar posts had not decayed by more than the thickness of a sheet of paper after 30 years in the ground, and were still immovable 100 years later. In 1879 the telegraph line between Piketberg and Calvinia, 289 km apart, was laid on more than 7000 cedar poles. A clear, hard gum yielded by the cones and branches was once used medicinally in the form of fumigations in the treatment of gout, rheumatism and oedematous swellings. It was also used for making plasters, and as a varnish. 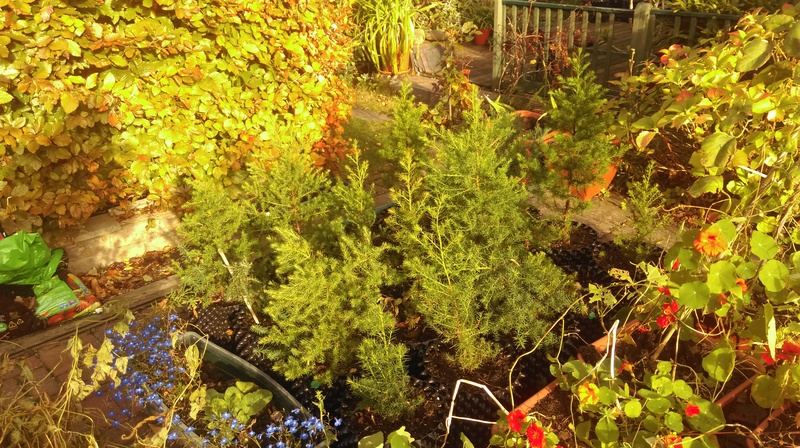 The Clanwilliam cedar is propagated from seed sown in autumn, in well-drained, sandy soil. Germination takes 3-4 weeks and seedlings can be transplanted as soon as they are large enough to handle. The seed germinates relatively well, and will benefit from treatment with Instant Smoke Plus Seed Primer. Initial growth is good, and saplings are best grown on in semi-shade. The Clanwilliam cedar is susceptible to the root fungus Phytophthora cinnamomi, so sterile soil should be used, and root disturbance kept to a minimum. Also, do not allow the saplings to dry out. Adult trees may be drought-tolerant but young trees in containers will not survive a total drought. Established trees are drought-tolerant, and are frost hardy in South Africa but are probably not hardy to prolonged cold at temperatures below -5 °C/20 °F. 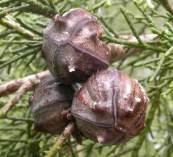 The Clanwilliam cedar is an ornamental conifer suitable for most gardens. It is also a good choice for the fynbos garden, and is an interesting bonsai subject. It makes a good indigenous Christmas tree subject in a large tub or half-barrel. Because they are resinous and burst into flame relatively easily, this is not a good tree to plant near the house if you live in a fire-prone area, or to plant near your braai (barbecue) area. Manders, P.T., Botha, S.A., Bond, W.J. & Meadows, M.E. 1990. The enigmatic Clanwilliam cedar. Veld & Flora 76: 8-11. Van Rooyen, G. & Steyn, H. 1999. Cederberg, Clanwilliam and Biedouw Valley. South African Wild Flower Guide 10. Botanical Society of South Africa, Cape Town. My personal theory is that the Cedars are suited to a much wetter and cooler climate as would have existed in the Cederberg in the last ice age i.e. up to 12,000 years ago. I was lucky enough to get some seed (from someone with a cottage in the Cederberg who has a tree in his garden) four years ago and I think every one germinated. So I ended up with nearly 30 seedlings and still have 20 left. The rest I have given away. 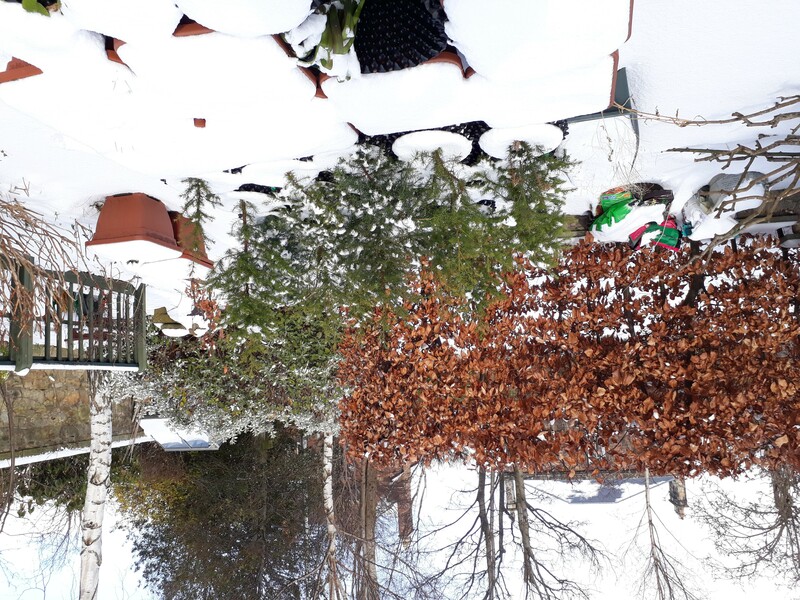 So they have been outside in Scotland all the time other than the first 2 months, with temperatures down to -10 c. This winter (17/18) we had lots of frost and then major snow in March, so I have included a couple of pics of the trees buried in snow. The biggest is now not far off a metre tall - will probably reach that this summer. They seem to be very happy in Scotland!